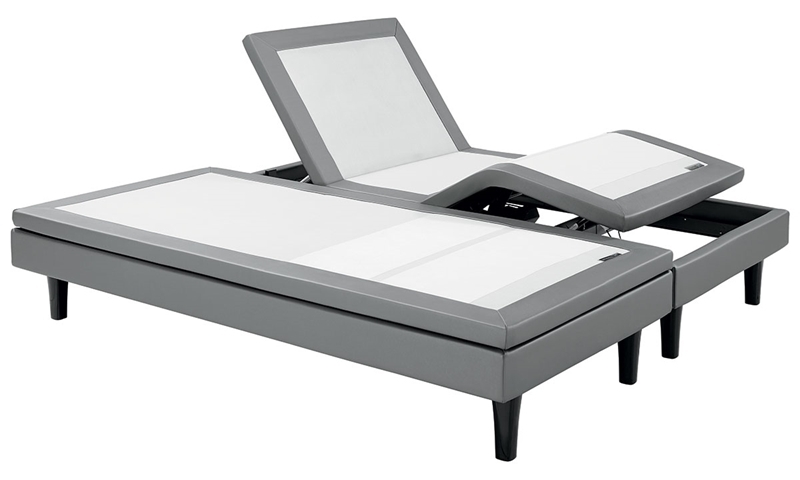 Both sides of this king base feature full range head & foot adjustment and timed massage controlled by wireless remotes or your smartphone. Never compromise on comfort again! Both you and a partner can drift off to sleep, read or watch TV while enjoying the personalized support offered by the Serta® Motion Perfect® III split king power base. Each side includes its own wireless remote to control a full range of head and foot adjustments, as well as three programmable preset positions and timed massage with six different intensities. Whisper-quiet motors and mechanisms keep partner disturbance to a minimum, and Bluetooth capabilities offer the ability to control either side of this split king base from your smartphone. Built-in USB ports will keep all your gadgets fully charged, and the hook and loop retainers on this base will lock the mattress in place without any unsightly metal bars.